Beware the non-idling cars of March, celebrated today on the Ides of March. This next car doesn't run, and it should send a sword through shiver down your spine quicker than you can say "Et tu, Brute?!" That's right, we found the ultimate unloved Boxster with a busted 911 engine swap. Did somebody dial 911? 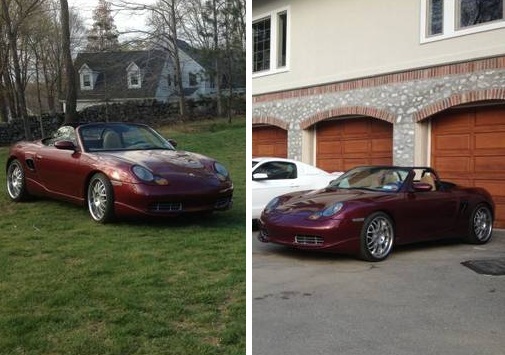 Find this 1998 Porsche Boxster with 911 engine offered for $3,000 in Katonah, NY via craigslist. Tip from Cory. I think the correct way to bring this thing back from the dead is with a 996 (twin) Turbo engine to replace the busted 3.4, but it'll cost you a few bucks no matter how you cut it. Already gone. I am curious how this guy managed to blow up TWO Porsche engines in the same car. There must be a story. By the way, I love the "non-idling cars of March" theme. You guys crack me up! ...and it's not even April yet! Sold. Time for a Subie swap? The car is nice looking. It might as well run as well.